Indian weddings are elaborate and lush with bright colors, spectacular flower arrangements, flowing curtains and a variety of rich decorations that draw the eye. Your guests should feel like they are walking into a palace and dining like princes when they walk into your reception and enjoy their meal. Whether you are tying the knot in your hometown or you are venturing to Bangalore for the wedding of your dreams, you will find that planning an Indian-themed wedding is full of excitement. If you want to bring the authentic flair of India to your wedding, consider picking up authentic garments worn in India for the bride, groom and every member of the bridal party. A traditional Western wedding gown may still be worn, but you should at least explore the option of dancing the night away in authentic Indian clothing. Indian footwear for women is splashy and seductive, so they are perfect options to go under the wedding dress. 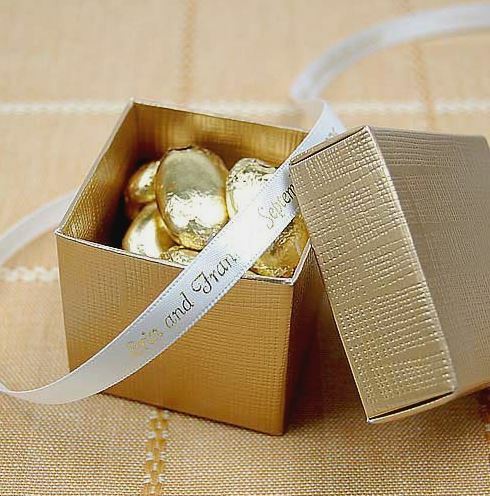 While you are making plans for your genuine Indian wedding, leave room in your budget for Indian wedding favors to thank your guests for coming to your special event. 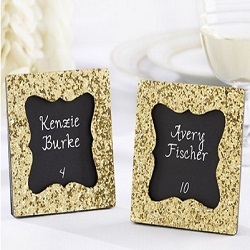 The following list will introduce you to just a few of the best favors available online. 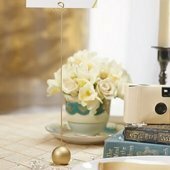 Some are more affordable than others, but there is something for every wedding budget. 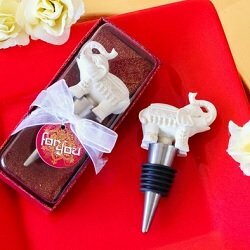 Elephant Bottle Stoppers - If you are offering a bar or wine bar at your wedding, consider offering a basket full of these stainless steel bottle stoppers for your adult guests. 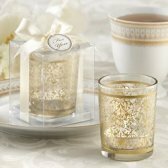 You can also slip them into larger favor baskets or boxes, since they come individually packaged. 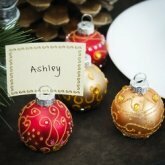 This is a favor that you know your guests will use rather than tossing in the trash on their way out the door. 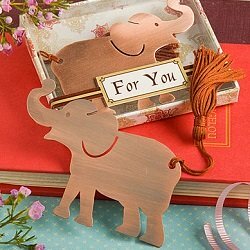 Metal Elephant Bookmarks - These copper bookmarks are simply adorable with the tassels forming the elephant’s tail. If you are shopping on a tight budget, you can’t beat the price when you purchase these bookmarks in bulk. They serve a functional use that your guests will enjoy. 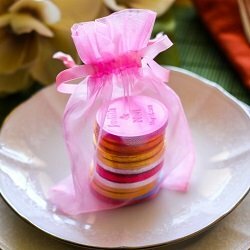 Sheer Organza Favor Bags - Are you looking for fun wedding favors to give out to children at your reception without straying from the rich décor of your Indian wedding theme? 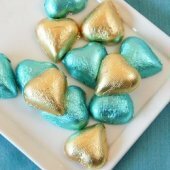 You can purchase these organza pouches that come in several color choices and fill them with candy, stickers and other small toys. Get creative and give your littlest guests a taste of authentic Indian flavor with candies and other treats from India. 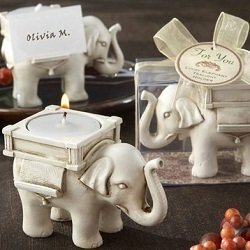 Antique Ivory Elephant Tea Light Holder - If you are planning a large wedding and want to make sure you offer favors that are enjoyed by all ages and genders, you can’t go wrong with a candle. 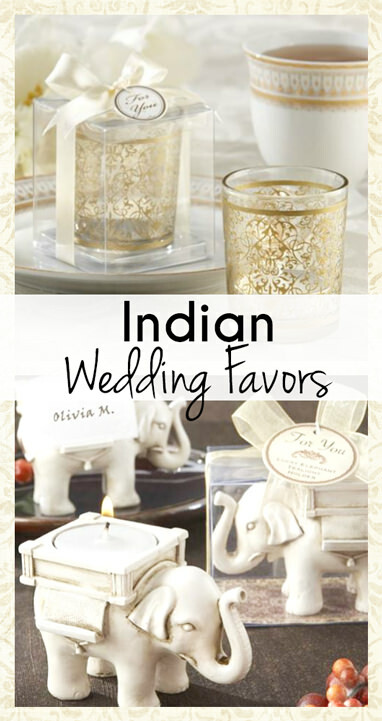 These favors will give your guests something to enjoy at home, but they also fit the Indian wedding thing beautifully. The candles may burn out eventually, but the interesting white elephant holders will live on to accommodate more candles and enrich the homes of every guest.